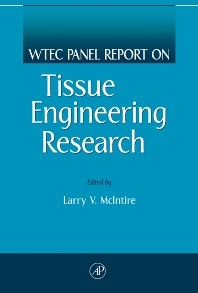 WTEC Panel on Tissue Engineering Research is a comparative review of tissue engineering research and development activities in the United States, Japan, and Western Europe conducted by a panel of leading U.S. experts in the field. This book covers biomaterials, cells, biomolecules, non-medical applications, engineering design, informatics, and legal and regulatory issues associated with tissue engineering research and applications. This document will serve as a basis for continued dialogue within nations' tissue engineering research and development community and with other important stakeholders, providing guidance for future programs. This text highlights the necessity for providing continued and enhanced resources to further the progress in tissue engineering, harness developments, and maintain scientific and economic leadership.